These Terms and Conditions govern the basis on which Advanced Motorcycle Training Ltd. (‘AMT’, ‘we’ or ‘us’) will provide you with lessons and raining. You should read these terms in full before booking Training with us. Where we refer in these terms to ‘you’ AMT means either the person booking and the person receiving the Training. Throughout these terms we refer to ‘Fees’. 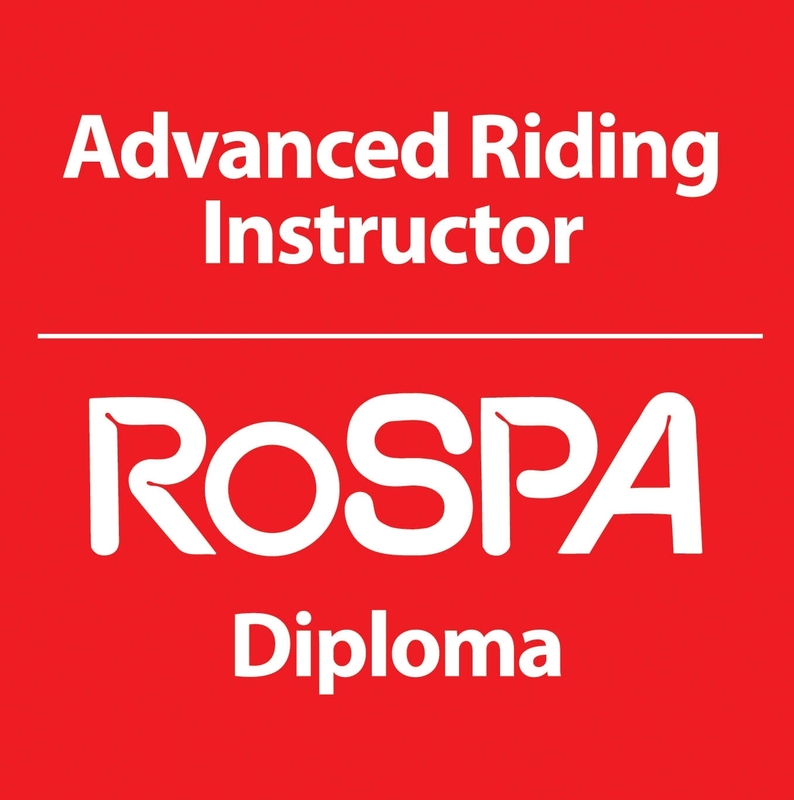 We intend this term to mean any charge due in respect of Training, sums payable for RoSPA or IAM for a test or charges for equipment or motorcycle hire. You will pay the Fee associated with your Training. We will tell you what the Fee is for your Training before you book, and will only change it where there is a change in the Training. All Fees are payable in advance of any Training taking place. We reserve the right to charge interest on Fees which are more than 4 weeks over due. We also reserve the right to cancel your Training without any further liability to you if you do not pay any Fee which is due in advance. Regrettably, Fees (including any deposit or part payment) cannot be refunded barring circumstances which we deem to be suitably exceptional. Please also note that Gift Vouchers are not redeemable for cash. AMT may have various options and offers available at any time throughout a year. These options are designed to specifically help with coaching and AMT reserves the right to amend these at any time without notice although in practice every effort will be made to ensure the offer or option is fulfilled. If the offer cannot be fulfilled a comparable offer will be provided. You will be advised of the licensing requirements applicable to your Training. You will be asked to provide proof of identity and allow our instructor the chance to inspect any licence you are required to hold before you start your Training. Failing to provide any of the required documentation for inspection may result in you being declined Training and AMT reserves the right to retain any Fee payable. You will be advised of the time at which your Training will start. You need to be on time for your lessons, and ideally you should aim to arrive five minutes before your Training is due to begin. AMT will not start the lessons early. If you are unable to attend for your Training, you must provide us with 48 hours written notice. If you do not give this notice, and/ or do not attend at all, we reserve the right to retain any Fee paid, or recover any Fee that would have been due. AMT will assign an instructor to provide your Training. You will need to listen to your instructor, and to follow all and any safety instructions which are given to you by him / her. The decision of your instructor is final, and we reserve the right to end any lesson if you ignore instructions. You will forfeit your lesson fee if we have to end a lesson in these circumstances. You are expected to behave in a courteous and respectful manner throughout. We reserve the right to ask you to leave if you behave abusively during the Training and no refund will be available in these circumstances. All our motorcycling courses are entered into on the basis that the student wants to develop the skills to ride a motorcycle to the best of their ability. We ask that you come ready to learn. Motorcycling is potentially a higher-risk activity than driving. The rider is potentially at greater risk whilst riding a motorcycle compared to driving a car. Thorough and skilled training can significantly reduce this. Insufficient and poor training though can increase the risk. It is for the rider to continue the learning process and to choose a suitably qualified and skilled trainer and AMT asks you to acknowledge this. It is our role to teach all our students to the best of their ability but it is also your responsibility to take on the role to learn. Please arrive for Training ready and willing to learn. [You should familiarise yourself with any material we ask you to read before Training begins]. If you undertake Training on your own scooter or motorcycle, it is your responsibility to ensure that it is in good working order, is taxed and insured and where appropriate has a current MOT certificate. There is an inherent risk in riding a motorcycle and it is your responsibility to accept this risk. AMT carries insurance for the business on the understanding that all clients comply with the requirements set out in these terms. AMT reserves the right to refuse to teach you if your ability to ride safely is impaired. You must advise your instructor if you are unwell, under the influence of alcohol or drugs in any way or taking such medication that your concentration and ability to learn might be affected. We have referred to the term ‘Training’ in these terms, which we intend to cover all instruction whether practical, classroom based, or otherwise, which is intended to teach you to ride a motorcycle or scooter. b.) in the case of other rider training as lessons which are available in periods of at least 2 hours. Training will be matched to your skills and abilities. It is inevitable that people will take different lengths of time to reach the required standards. This is not a reflection of your prospects or ability to ride a motorcycle. It is therefore important that all Fees are paid to AMT on the understanding that we reserve the right to re-schedule courses. Refunds cannot be given for RoSPA or IAM test fees once the cancellation date has been passed. We urge you to please notify us as soon as possible if you are unlikely to be able to make a test as it may incur additional costs. Only in exceptional circumstances can a course or test fee or part of it be refunded and in any case a written request will need to be made. As noted above, the instructor’s decision is always final and in no circumstances will the instructor compromise either the safety of the student, other students or other road users. Where a course cannot be completed in the interests of [public] safety, alternative dates for the course will be offered. As alternative dates will be offered we cannot provide a refund. We don’t expect matters such as the weather to affect your Training unless severe conditions are forecast, however there will be occasions when we will need to rearrange or change the time and or day on which your Training is due to take place. We will let you know if this is likely, but the decision to change is a matter for AMT in its discretion. AMT is committed to delivering exceptional coaching to all of its riders and as such will give due assistance to help them achieve the goal of riding a scooter or motorcycle to any level they require. We will provide Training in accordance with our Code of Conduct, a copy of which is available upon request. It is our role to teach all our students to the best of their ability but it is also your responsibility to take on the role to learn. We recognise of course that until you embark on a course you may not have a perception of the required standards or your abilities and this can be daunting at times for some. We will offer you every reasonable assistance so that the learning process is an enjoyable one. We will discuss your training needs with you to ensure that the Training you have booked is right for you. In the event that you find particular difficulty in achieving your aims, we will happily discuss required courses of action. If you have a complaint, we will try to resolve it with you, and ask that you refer to our complaints procedure, which is available on request. We will not discuss your training needs with third parties except with the permission of the student. (c) to inform you about similar products provided by AMT, but you may stop receiving these communications at any time by contacting us. 1. AMT instructors have clear CRB checks. There is no possibility that they will be accepted to work for GMT without this clearance. Proof of these CRB checks can be made available if required. 2. AMT will not intentionally mislead or misinform any party associated with Motorcycle Rider Training. If there is a misunderstanding AMT will address any issues on its merits. Any party who feels particularly aggrieved must refer to the Complaints Procedure for resolution of the misunderstanding. 3. Your instructor will behave in a professional manner at all times and in accordance with the industry’s code of conduct. AMT is signed up to the Code of Conduct set out by the Driving Standards Agency (DSA) and RoSPA (Royal Society for the Prevention of Accidents). 4. Your AMT instructors will not discriminate on grounds of race, colour, religion or belief, age, gender, gender identity or disability or any other factor irrelevant to the provision of Training. 5. Instructors and clients will not be subjected to or act in a way that would be likely to bring themselves or the industry into disrepute. 6. AMT offers a very high standard of coaching. At all times, AMT instructors will maintain these standards. 1. We do our very best to ensure that you are satisfied with the service you have received. However, if you have any complaints about your instructor or the service in general please discuss your complaint in the first instance with him or her. 2. We ask that you tell us first if you have a problem as it will be likely to have been caused by misunderstanding. Having the opportunity to put this right is fair to you and to us. 3. If the complaint is not resolved then please write to Advanced Motorcycle Training Ltd. Leigh Court, Abbots Leigh, Bristol, BS8 3RA. 4. If you are not satisfied with the response from AMT then please write to the Driving Standards Agency. The addresses can be supplied for you. 5. Please inform your instructor if you have any complaints about other participants on the course and follow the same procedure as above if the issue is not resolved.